Can Muni Bonds Outperform Again in 2016? After municipal bonds outperformed in 2015, the key for munis in 2016 (besides default risk) is when and how much long-term rates rise. 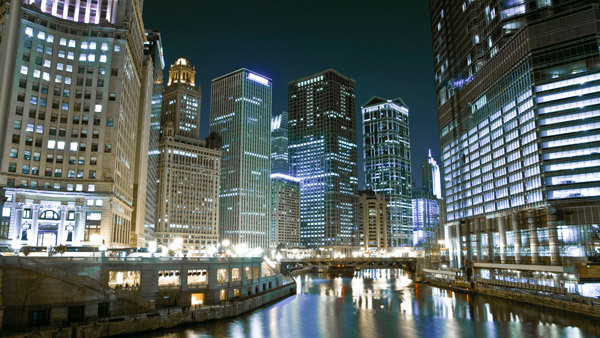 Chicago is one of the issuers whom muni market participants will be watching in 2016. Municipal bonds have been the sleeper hit among investment categories in 2015. They’re the biggest gainers in the bond market, outperforming corporates and Treasuries, and they’re poised to beat the major stock indexes as well. The Merrill Lynch Muni Master index is up almost 3% year-to-date compared to a 0.81% loss in the Merrill investment corporate master index, a 0.36% loss in the Barclays agg and a less than 1% gain in the S&P 500 as of the market close on Tuesday, December 29. The outperformance was “probably a big surprise for everyone,” says Richard Ciccarone, president and CEO of Merritt Research Services, a municipal credit and research company. The question now for investors and advisors is what happens to the muni market in 2016 given the expected rise in rates as a result of the Fed’s new tightening policy and credit concerns that involve not just Puerto Rico, whose bonds are teetering on default, but also other vulnerable credits like Chicago, Illinois, New Jersey, Pennsylvania. “January 1 will start the year with a big bang,” says Ciccarone. “The biggest event in the market will be whether or not Puerto Rico will pay.” About $1 billion in bond interest payments come due January 1 for the commonwealth, which is roughly $70 billion in debt. On Wednesday Governor Alejandro Garcia Padilla announced that Puerto Rico will default on about $37 million in bond payments. Of course some default expectations have already been discounted in the muni bond market but not all. The “real occurrence still has an impact on most optimistic investors who always believe muni bonds will pay on time,” says Ciccarone. In the case of a Puerto Rican default the most vulnerable assets are high-yield muni bond funds since they currently hold most Puerto Rican debt, says Ciccarone. But even investment grade muni funds with little or no Puerto Rican bonds and the muni market in general could be impacted because of the possibility of contagion. Mousseau recommends that advisors and their clients look closely at their muni fund holdings to see if their funds hold any Puerto Rican bonds. Those with less than 10% of their assets in Puerto Rican bonds and insured funds will hold up better, says Mousseau. And individual bonds with no Puerto Rico debt should be an even safer bet because unlike mutual funds they are not subject to investor redemptions which can impact a fund’s net asset value and thus performance. Rising rates mean higher yields and lower prices for bonds generally, but historically municipal bond prices don’t fall as quickly as prices on Treasuries and other bonds when rates are rising. The interest payments on muni bonds are exempt from federal, state and local income taxes, which is why they generally pay a lower yield than Treasuries. It’s also the reason why many muni bond funds hold Puerto Rican debt. Those bonds are triple tax-exempt for all investors in the U.S., no matter where they live. A 25-year AAA-rated muni bond is currently yielding 2.29% versus 3% for a 30-year Treasury bond, but the tax-equivalent yield for investors in the top 39.6% tax bracket, is 3.79%. It’s even higher when state and local income taxes are included in the calculation. The key, then, for munis and other bonds is when and how much do long-term rates rise next year. The Fed only controls short term rates; long-term rates usually rise when it appears that the economy is growing at a pace that will result in rising prices and expectations for higher inflation. Other risks for muni bond investors in 2016 include credit risk and supply issues. Credit overall has improved in the muni bond market because governments have reduced debt levels and supplies have been fairly restrained, says Ciccarone. But he and Moussea note that distressed credits or vulnerable credits will be at greater risk when rates rise. Both Ciccarone and Mousseau recommend that investors stick with investment grade munis and avoid high-yield debt and vulnerable issuers like Chicago, Illinois, New Jersey and riskier sectors such as lower ranked colleges — both public and private. They also recommend either strong, high-rated general obligation credits, backed by the full faith and credit of a state or municipality, and revenue bonds for essential services like water, sewage or toll roads. As for maturities, Ciccarone suggests bonds maturing in 10 years or less; Mousseau recommends a barbell strategy comprising long-term and short-term bonds with an average total maturity of 15 years.